Romans 6:4-6 (4) Therefore we were buried with Him through baptism into death, that just as Christ was raised from the dead by the glory of the Father, even so we also should walk in newness of life. (5) For if we have been united together in the likeness of His death, certainly we also shall bein the likeness of His resurrection, (6) knowing this, that our old man was crucified with Him,that the body of sin might be done away with, that we should no longer be slaves of sin. (16) So then, because you are lukewarm, and neither cold nor hot, I will vomit you out of My mouth. (17) Because you say, "I am rich, have become wealthy, and have need of nothing"—and do not know that you are wretched, miserable, poor, blind, and naked— (18) I counsel you to buy from Me gold refined in the fire, that you may be rich; and white garments, that you may be clothed, that the shame of your nakedness may not be revealed; and anoint your eyes with eye salve, that you may see. Consider the process of the Laodicean's decline: Does he stop to consider himself as loving death? On the contrary, his nature is selling him on what it calls "enjoying life." However, the reality is that because he enjoys it so much, he thinks that he is fine the way he is. He, though, is guilty of a very serioussin: presumption. This is a sin in which ignorance frequently plays only a small part. When someone is presumptuous, knowledge of what is right is usually available, but he does not think his intent and conduct through to a right conclusion. On the other hand, carelessness plays a large role in presumption. TheLaodiceans should have known better than what their actions reveal. Their lackadaisical approach to spiritual matters, to their Savior who died for them, has earned His stinging rebuke. Well, it's baloney, of course. 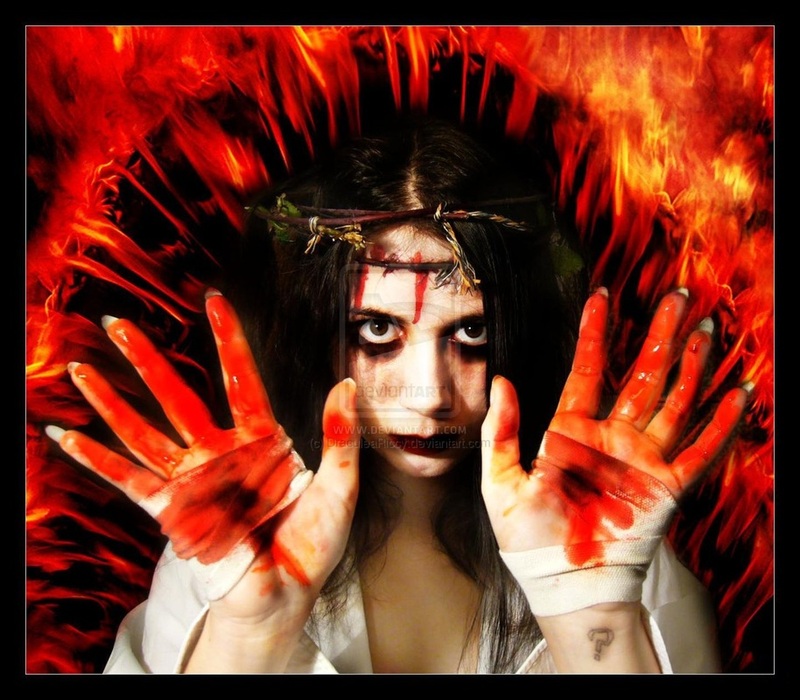 Stigmata are the appearance of the wounds of Jesus Christ on a person’s body. Some stigmata include representations of the wounds on Christ's back caused by the scourging and/or the head wounds caused by the crown of thorns. But traditionally stigmata consist of five classic points: the side (where Jesus was pierced with the spear to confirm that He was dead), and both hands and both feet (the wounds caused by the nails of the crucifixion). Those Catholics are so full of crap. I'm calling FALSE RELIGION on this one. Along with many of the other false Catholic teachings, this one is insane. Demonic. (don't be mad at me if you are a Catholic, I just call it like I see it) Several individuals in church history have claimed to have miraculously received stigmata. However, there are serious challenges to the legitimacy of these supposed appearances. Many have been proven to have been self-inflicted in an attempt to fake miraculous stigmata. The Bible nowhere instructs anyone to get stigmata or states that God will give stigmata. In Galatians 6:17, Paul states, "...for I bear on my body the marks of Jesus." This does not mean Paul literally had the scars of crucifixion. Rather, it indicates that Paul's body was scarred due to his commitment to follow Christ. Jesus suffered the wounds so we would not have to. The wounds of crucifixion being miraculously inflicted on the body of a believer contradicts the fact that "He was pierced for our transgressions, He was crushed for our iniquities; the punishment that brought us peace was upon Him, and by His wounds we are healed" (Isaiah 53:5). Resources: Jesus: The Greatest Life of All by Charles Swindoll and Logos Bible Software. Who Is Jesus?At the heart of Christianity is a central question, "Just who is Jesus Christ?" It may be astounding to some that such a question is still relevant after nearly two millennia of Christian activity, but as strange as it may seem, even Christians do not agree about the nature of the Founder of their religion. This fact says a great deal about those who profess to be "Christian," which at its most basic means "follower of Christ." If Christians display such profound disagreement about Jesus Christ Himself, can they all really be following the same Person? 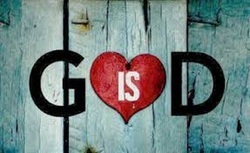 1 John 4:8 He that loveth not knoweth not God; for God is love who does not love does not know God, for God is love. Every thought, every word, every act of God is an expression of love. God is sovereign, and He has the right to do whatever He wants. This would be tyranny except for one simple fact: Everything God does, whether seemingly arbitrary or not, is motivated by love. Even our trials are supreme acts of love as Hebrews 12:5-11 and Job’s experience show.Only God is wise enough to allow us to go through a desperately needed trial while simultaneously using it to accomplish His other purposes as well. In the worsening times ahead, God will not use some of us as cannon fodder for His purposes, though He has the right to do it—He made us. Because of His love for us, He will allow us to face trials because we need them to perfect us. After all, “all things work together for good” to those called (Romans 8:28). 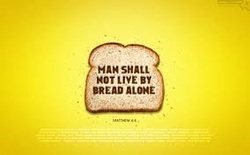 Luke 4:4 (4) But Jesus answered him, saying, "It is written, 'Man shall not live by bread alone, but by every word of God.'" In Luke 4:4 Jesus tells the Devil, in response to the first of his temptations, "It is written: 'Man shall not live by bread alone, but by every word of God.'" This is not some general statement that allows us to choose what we will and will not obey, but a requirement for each of us, to the best of our ability, to follow every word of God in living our lives before Him. To do this takes real faith. God has given us "the way of righteousness," a revelation the most people just cannot comprehend, and He is looking for evidence that we not only assent to it but are also living it. It is the works of obedience that change us, that reflect that we are striving to live as God lives. This is what God counts as proper evidence of our faith. In James 2:17, 20, 26, he tells us that, without works, our faith is dead, and these works are defined as putting into practice the instructions of God in our lives like Abraham did. When God saw Abraham's obedience. He said, "Now I know that you fear Me!" God should be able to say that about each of us.. Do we have the faith to live by every word of God? Can I inherit faith from my parents? Romans 10:17(17) So then faith comes by hearing, and hearing by the word of God. Faith doesn't come through a natural genetic process. A person doesn't 'inherit' faith through a natural bloodline; God didn't encode faith into our DNA so it could be passed on to our children. 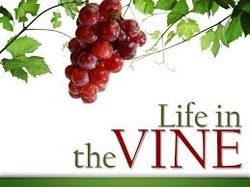 Faith does have a link with blood though -- Jesus' blood. 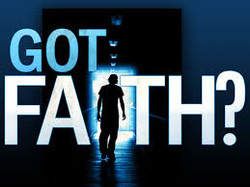 (Romans 3:25) When the disciples asked Jesus to increase their faith (Luke 17:5) it showed that they understood that God, not genetics, is the ultimate source of faith. We couldn't even have any faith but for the fact that he enables us. God calls us and if we answer the call and ask him he will give us the faith that we need. I think we all have doubts sometimes (because our enemy is constantly trying to plant them into our brains). Whenever thoughts of doubt pop into your head, just remember who is putting them there and ask God to help strengthen your faith. He'll do it.